Reading is an important path towards early education. I have a homeschooling curriculum that accentuates the old way of teaching which were reading, writing and arithmetic. The basis behind this curriculum is that all the other subjects would be learned through reading. In my house, we have tons of books and although I don't read enough to my children, I do like to make sure they have plenty of options to encourage reading. Reading seems to be more special when the book is about the child. This was true with the I See Me! personalized book that I had the pleasure of reviewing for my youngest. The title I chose is the Who Loves Me book. The customer has the ability to personalize with the child's name, gender and birthday. Then you have the choice to select up to six people who love your child and you can combine 'mom and dad' as one of the six holders. Being able to provide a Given By, year and given date is another nice feature to retain as an heirloom to pass down. The artwork is wonderful and reminded me of older classics. The story line is really cute with each person you named loving the child with a cute little saying with each one. Both my girls loved the book! The quality is superior to others that I have seen and is put together well with no binding slippage. I think the books are delightful and will be returning for future gifts. 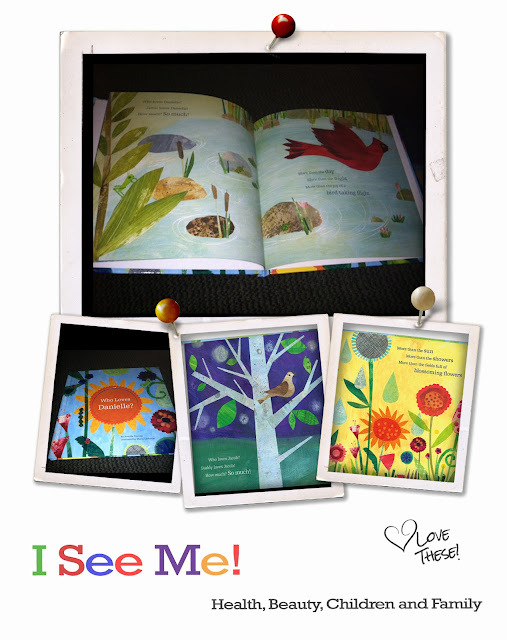 Extra Bonus: Save 10% until 9/30 with code MYFAIRYTALE and stay up to date with I See Me! on Facebook, Twitter and Pinterest. One reader will win their own I See Me! book! *Disclosure: I received a complimentary copy of this book for the purposes of the review and giveaway. The opinions are of my own. I would love to win the book for my niece! Thanks for the giveaway! I would love to give this to my little cousin, who is turning four next month. I want to win for grandson - Thanks!